First spotted by German website 3DCenter.org, the listing says that Micron charges $11.69 per GB for 2000 1GB modules of 14Gbps GDDR6, while they charge just $6.84 for the equivalent 8Gbps GDDR5 modules. That’s 70% more for 75% faster speeds. If the prices are accurate then the RTX 2080 Ti memory costs $129 and the 2080’s and 2070’s cost $94. That is $39 more than the memory in the GTX 1070 Ti. The cost of GDDR5X modules used in the GTX 1080 Ti and GTX 1080 remains unknown, but it’s likely it wasn’t much more than GDDR5 given how the cards were priced. The prices also help explain the confusing rumored RTX 2060 variants, which are likely to come with GDDR6 and GDDR5 options with 6GB, 4GB and 3GB of memory. Going down the chain, dropping from 6GB to 4GB could save $23 while dropping from 4GB to 3GB could save $12. Switching to GDDR5 would save $29 at 6GB, $19 at 4GB and $14 at 3GB. That could be 5-10% depending on pricing. For Nvidia to be buying GDDR6 at these prices, they must’ve been somewhat desperate. 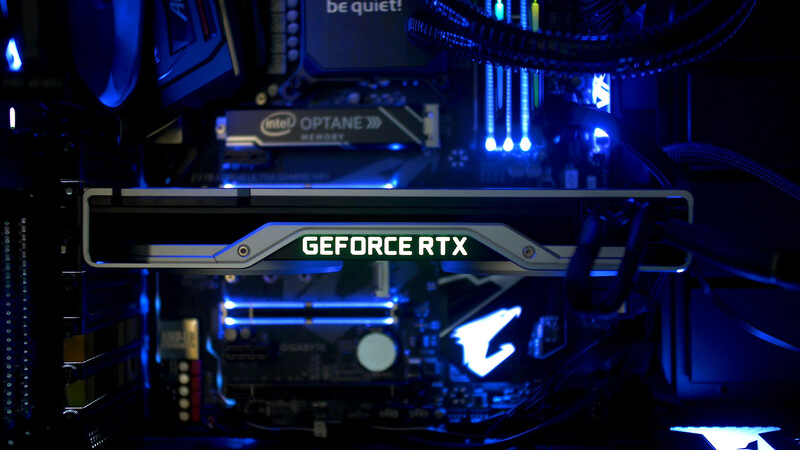 But if you think about it, with the benefits of the Turing architecture spent on ray tracing rather than CUDA core improvements, the RTX series had to look elsewhere for performance. The RTX 2070 has 11% fewer TFLOPS than the GTX 1080 despite a similar price, so how does it perform 7% better on average? How does the RTX 2080 achieve GTX 1080 Ti like performance while missing an entire 1050’s worth of cores? Speed improvements from GDDR6 is at least part of that answer. According to the listing, Nvidia could have gone with 13Gbps GDDR6 that’s only 7% slower but is 21% cheaper. If they had, then the RTX cards might have achieved a better value, although these days we're finally seeing them at their intended MSRPs. It does leave AMD an interesting opportunity, however. Once again, we’re left with high hopes for Navi, which could be teased any minute now at CES. Well, Nvidia is currently charging 100% more for a 2080 Ti when it only shows performance gains of about 40% so I'm not exactly feeling bad for the company. loki1944 and Reehahs like this. Really???? Did the author of this article not even bother to price GDDR5X to compare against GDDR6? The comparison of 8Gbs GDDR5 versus 14gbs GDDR6 is beyond ridiculous and somewhat short sighted for a professional tech site of this caliber. Who in their right mind believes Nvidia would have ever used 8gbs GDDR5 on RTX series cards if GDDR5 generation was the only choice. Nvidia certainly would have at least matched the memory found on 1080, 1080 Ti, and Titan Xp. loki1944, Theinsanegamer, Wessell Urdata and 1 other person like this. Memory pricing is bad news for new cards but also for new consoles. How much memory new consoles will be equipped with will heavily depend on the cost of GDDR6. PS4 ended up with 8GB because the cost of GDDR5 dropped just before finalising the hardware, originally it was going to get 4GB. Hopefully there will be a ramp in production to mitigate the increase in silicon cost of next gen graphics cards. AMD do have an opportunity to deliver something competitive and well priced if they get out new cards on 7nm early this year. Nvidia will have some pressure for the first time in quite a while. Guess I should run and buy a 2080 Ti right now... Nice try! What about HBM ? if you are going to compare prices why not compare it to its direct competition ? titan v vs titan rtx memory cost would be a nice article. Even there, we are talking maybe 40$ more over the GDDR5 counter-part at max. It doesn't explain the price gouging alone of the RTX series (2080 TI, 2080 and 2070) which is in the surrounding of 80-100% price increase. Man, just stop buying Nvidia or stop complaining if you do. Who is complaining? Amd trolls? Honestly it doesn't take a genius to figure out progressive technology cost more money, Prosumers buy it and know what they are buying into, consumers are the ones who want it just not at that price. Imagine Intel does a sneak attack on Nvidia high end I doubt at gaming cards but definitely pro and server market very possible. Unfortunately when there is no competition Monopolies tend to do Monopolistic things. when is this **** gonna end ? Except Nvidia never said they were paying that, and it's pretty far fetched to think they are.